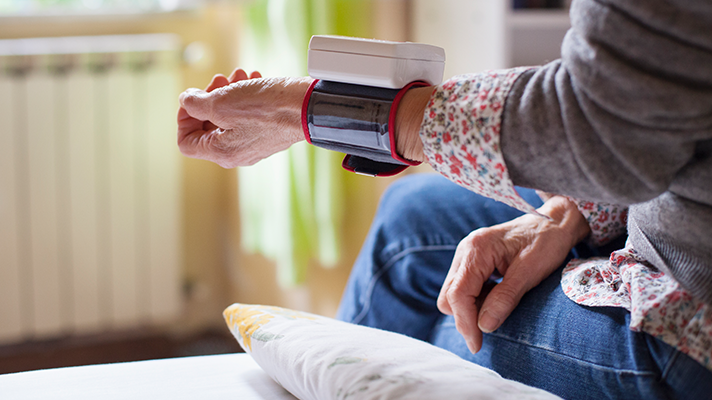 Monitoring and caring for elderly can be a resource- and personnel-intensive job – one where even a small lapse in attention or failure to notice a pattern can lead to injury, diminished quality of life, or even death. As Baby Boomers begin to enter their golden years, the challenges of how to effectively care for an increasing elderly population are steadily multiplying. Predictive analytics driven, by smart sensors and the intelligent capture of lifestyle data, can greatly improve the quality of care for this population. Learning more about even simple patterns that emerge over the daily life of an elderly patient can lead to greater insights from everything from routine health concerns to predicting when a life threatening event is imminent. “We can predict health from data from different sources,” said Kuldip Pabla, senior vice president of engineering for Raleigh, North Carolina-based K4Connect, a developer of smart tech tools for senior living spaces. Pabla describes capturing data from three areas: smart home, smart wellness and smart community. If all of the lights are off and no motion sensors are activated in a senior’s house during a time they historically have been active, a predictive system might guess the resident has fallen or gotten hurt. The system can check to see if the resident has recently ordered a ride from Uber or Lyft or if they have a calendar event which might mean they aren’t home to prevent a false positive. By integrating the smart home data with vitals captured from wellness sensors, a trend (slower movement a few days before a stroke, for instance) could be spotted and anticipated before a serious accident occurs. Unlike the Silent Generation, Boomers are already well-connected and no strangers to smartphones and the internet. Monitoring on this level can work at home as well as it can under a controlled environment like a nursing home. As more Baby Boomers are expected to age in place, this is a good thing. Pabla said this generation already has the devices, so the buy-in is largely there: “With limited exceptions, they can do it themselves,” he said.